"Happy Together" is a 1967 song from the Turtles' album of the same name. Released as a single in February 1967, the song knocked The Beatles' "Penny Lane" out of the number one slot for three weeks on the Billboard Hot 100. It was the group's only chart-topper in the United States. 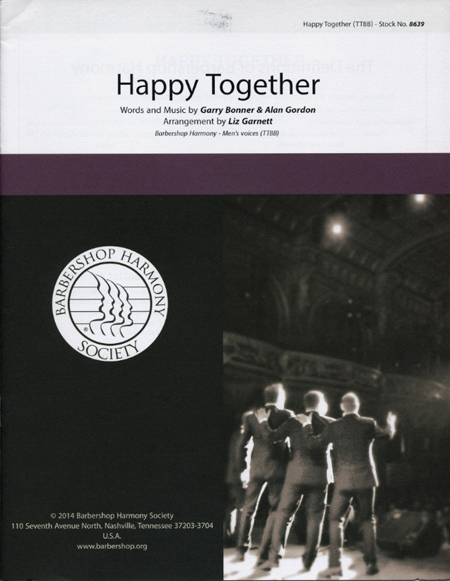 "Happy Together" reached number 12 on the UK Singles Chart in April 1967 and number 13 on Top 100 Singles of 1967 in Canada The song was written by Garry Bonner and Alan Gordon, former members of a band known as The Magicians. A unique guide to teaching unaccompanied singing! 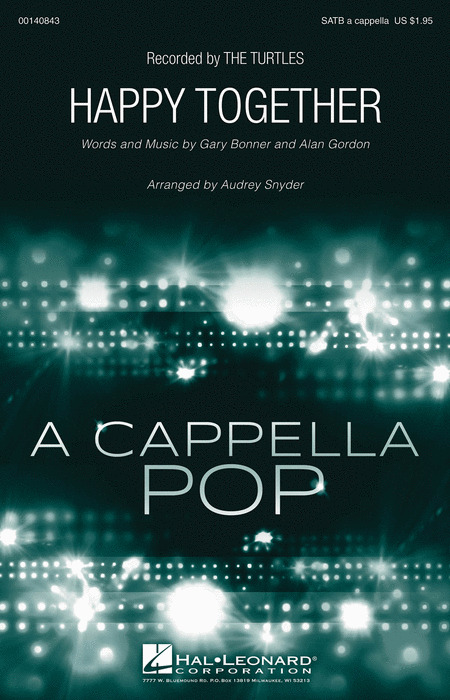 Gitika Partington's a cappella arrangements are used by youth and community choirs around the world. Gitika believes in the sensational power of group singing, bringing people together to express joy and celebration through song. Not being able to read music is no obstacle and Gitika's tips and the original arrangements included here demonstrate just how rewarding and inclusive teaching a cappella by ear and gesture can be! Gitika Partington is a singer/songwriter, vocal arranger, teacher and choral director. She has an MA in choral education and holds many other musical qualifications. She runs regular 'popular and world style' singing workshops as well as national training sessions for adults and children. In addition she runs three adult community choirs where all the music is learned by ear and is mostly self arranged. One of Gitika's major loves is a cappella vocal arranging, which she does for her three choirs and her vocal workshops. Her arrangements are used by youth and community choirs across the UK and internationally. This book contains the first of many of her arrangements she would like to share even more widely. This 1967 hit by the Turtles has become a vocal harmony favorite and this arrangement will indeed make your quartet be happy together.